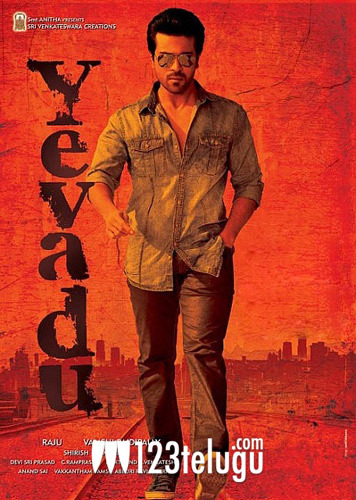 The next schedule of Ram Charan’s upcoming film Yevadu is going to begin after Sankranthi, according to latest buzz in Filmnagar. Vamshi Paidipally is directing the film and it’s said to be a stylish action thriller. Dil Raju is producing it. Ram Charan, Shruti Haasan, Amy Jackson are playing the lead roles and the film’s another highlight is going to be Allu Arjun and Kajal’s special roles. In the upcoming schedule of the film, some important scenes involving Ram Charan and Shruti Haasan are going to be shot. This is the first time Shruti Haasan is going to shoot for the film and her name was finalized a month ago after Samantha was dropped from the project. As the title suggests, we can expect to see Ram Charan in an extremely interesting role and the film will be a edge of the seat thriller as per our sources. Expectations are high on the film since it’s the first time that Ram Charan and Allu Arjun are teaming up for a film. Devi Sri Prasad is scoring the music. The film is expected to release in summer this year.